On a journey with hope. 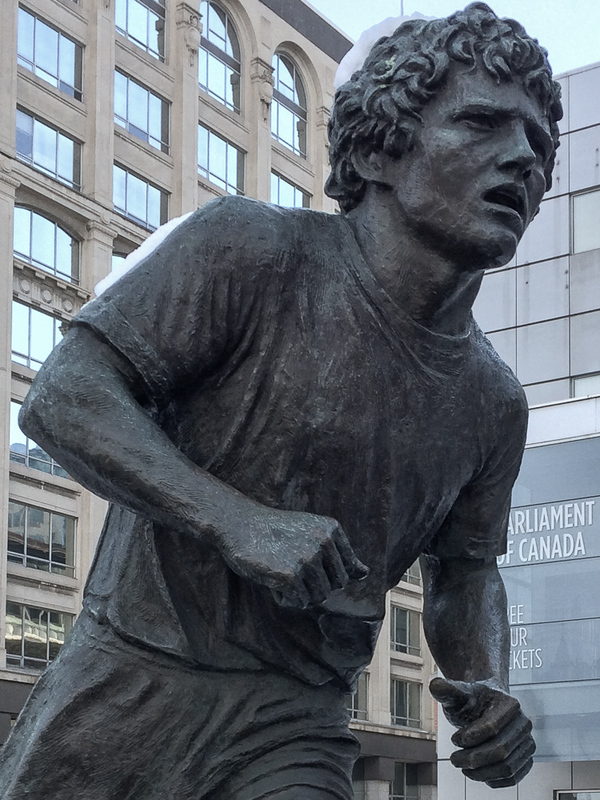 Terry Fox resides in the hearts and minds of many people in Canada and around the world. The Marathon of Hope took this courageous young man from east coast toward the west until, after 143 days of running, he was forced to pull up near Thunder Bay, Ontario. The cancer that had claimed part of his right leg had returned. He died shortly before his 23rd birthday on June 28, 1981. Communities, schools and running groups continue to recognize and respect what he did and raise funds for cancer research in annual Terry Fox Run’s held all around the world. If you would like to donate, please go to The Terry Fox Foundation. PhotoPoetry in Motion is my occasional series of poems, accompanied by photos, inspired by moving along-running, biking or taking public transport. 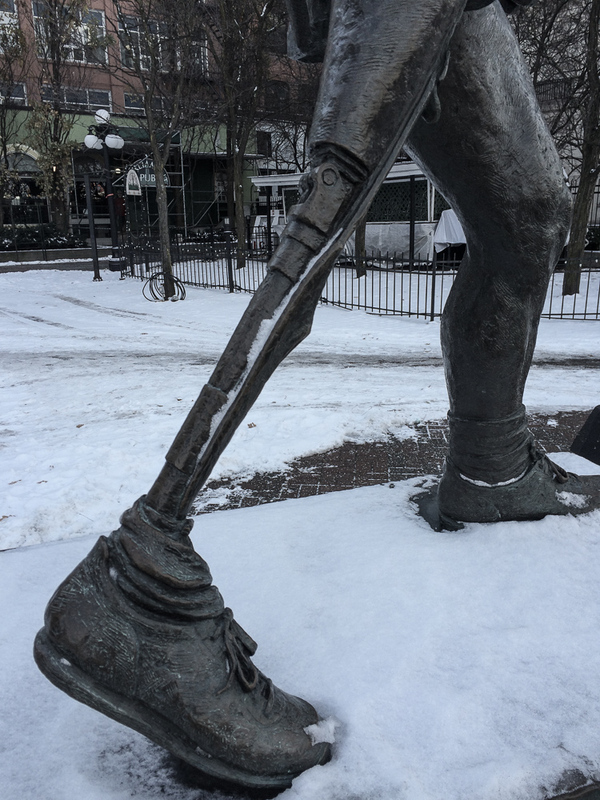 This was my first view of the Terry Fox statue, Parliament Hill, Ottawa, Canada. The bronze sculpture was created by John Hooper (1926-2006) in 1983.